“On fire”, on a roll”, “in the zone”, all great figures of speech intended to describe that unique state of mind that every SRRC athlete strives to tap into. As all of our team members are dedicated to achieving greatness, we wanted to highlight specific accomplishments of drive, confidence, calm, focus and athletic achievement. Take a moment and help us celebrate our athletes and help us recognize their achievements while we encourage all to follow their journey. Let us congratulate Brady Mason and Mika Kizuka as our SRRC Athletes of the Week. Brady Mason is skier of the week for winning all three races at the U16 Derby and taking the state title in the U16 category. Brady began skiing at 20 months old and snowboarding at age 5. After getting his start in ski racing with NASTAR, he joined SRRC at age 8. This is his 7th season with SRRC. Brady lives in Silver Spring, MD with his parents Meg and Jimmy. Jimmy can often be found at the top or bottom of the race course wearing a radio and a bright orange jacket. Brady’s sister, Noelle is a student at DePaul University and is his biggest fan. He has two bearded dragon’s at home, Draco and Dominick. Brady attends Montgomery Blair High School, where he is on the honor roll. He enjoys PE, Math, and Science. 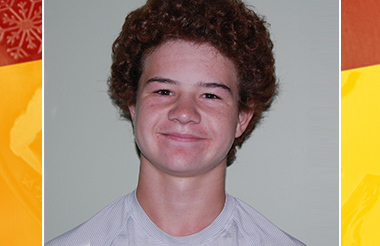 When not skiing, Brady plays both club and high school lacrosse and high school football. Brady plays basketball and swims in the summer. He also enjoys chess and poker. Brady’s dream has always been to participate in a college sport. Brady sees his future career being a coach or an athletic director. Whatever sport he is participating in, you can usually find Brady standing next to the coach sharing ideas and strategies. He is a student of the game and he learns a lot by watching his sports on TV or reviewing ski videos. Mika is 16 years old. Her parents are Mako and Carrie. Sisters Kaiya (18) and Akina (11) also snowboard for SRRC. Mika lives in Sinking Spring, PA with her family including her Shiba Inu named Momo. She attends Wilson High School. She works hard in school and excels in all her classes. She particularly enjoys her engineering classes. Mika began snowboarding when she was 2 years old. She has been a member of SRRC for 4 years. 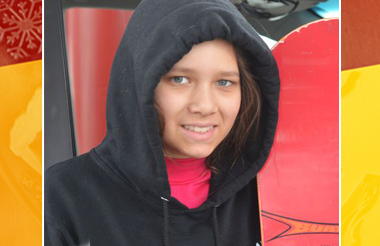 She hopes to make US snowboarding team and compete at the highest level. As you can see, Mika is fired up and looking to make BIG waves in the snowboarding community. When not snowboarding, Mika enjoys playing the drums, skateboarding, and doing computer aided design with the program, Inventor. She loves to eat popcorn; loves it so much that she got a job at a movies theater.